British award-winning comedian and writer from South Shields, who has been on the comedy circuit since 2004. 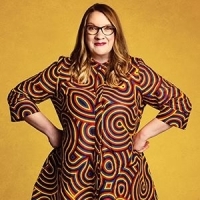 In 2008 she was the recipient of an if.comedy award as Best Newcomer at the Edinburgh Fringe Festival, with many other nominations since her debut. Her shows include Thoroughly Modern Millican, Home Bird and The Outsider.